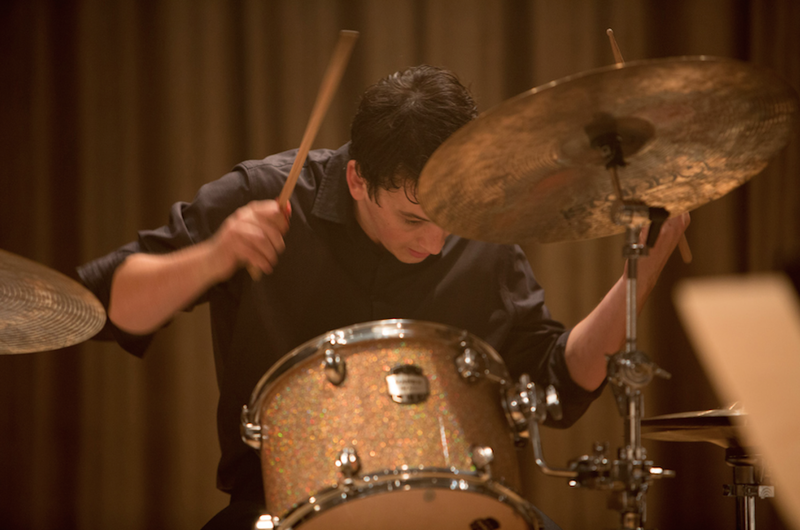 An aspiring young drummer, Andrew (Miles Teller), joins a dog-eat-dog music conservatory where his dreams of excellence are pushed to the limit when he is mentored by a cutthroat conductor who will exert his students to beyond what is expected of them. Having assured himself the role of core drummer, his life will now become a living hell in order to keep his position. Based on the films' premise, at first glance it may appear to leave a lot to be desired. The words 'jazz' and 'thriller' do not tend to be used within the same genre but Damien Chazelle's latest feature sees the two go hand in hand. Known more so for his direction, writing and screenplay of The Last Exorcism of Emily Rose II, Chazelle has taken a giant leap in creating a thriller based around jazz yet in doing so has transformed his career from a small-time horror director in to a Oscar nominated director with four other nominations for the film as a whole. He does this by taking a subject matter that provokes a set emotion, for most, yet he turns it on it's head to create a bitter twist because, like his protagonist, Chazelle himself is laying it all out on the line in this hugely ambitious piece. It is directed like it is his last chance and every minute counts. In true thriller style, our great protagonist, Andrew, must have a worthy foe. There is little delay in kick starting the narrative and we meet both Andrew and his antagonist, Fletcher (J.K Simmons), almost immediately. Andrew is a promising yet cocky drummer who desperately longs to join the highest ranks of his music college, joining some of the greatest in the country. We soon learn his mother left him as a baby and is a loner at the college yet the revealing of this information feels natural within the progression of the story. The only way to achieve such a dream is to attract the attention of Fletcher whom will push him beyond the realms of sanity in order to be the best. As a mentor, Fletcher, does not so much as go for the throat of his students but more decapitates them all together - installing fear and determination in to them all, playing until their hands physically bleed. Here's where your element of thrill comes in. 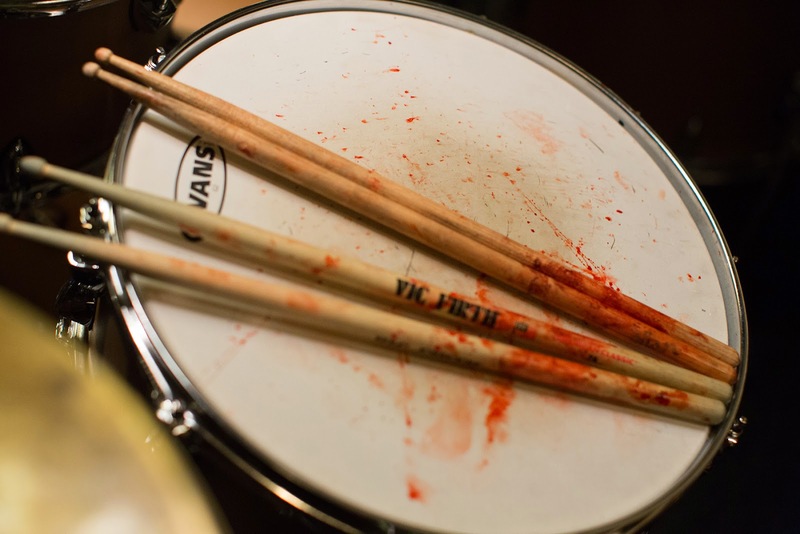 Fletcher is a lose canon and totally unpredictable thus you hang on every note and beat in the hopes that a young rookie will nail his first drum solo - Chazelle clutching your heart in his hand. As Andrew progresses and gains confidence, Fletcher is quick to disable his comfort and trust. This puts the spectator in a total state of unease throughout which provides an entertaining yet powerful edge much like that of Black Swan (Darren Aronofsky, 2010) and with a similar darkness. A film cannot truly be an 'Oscar' title on writing and screenplay alone, however. What truly makes this film is the performances by a small yet totally fulfilling cast. 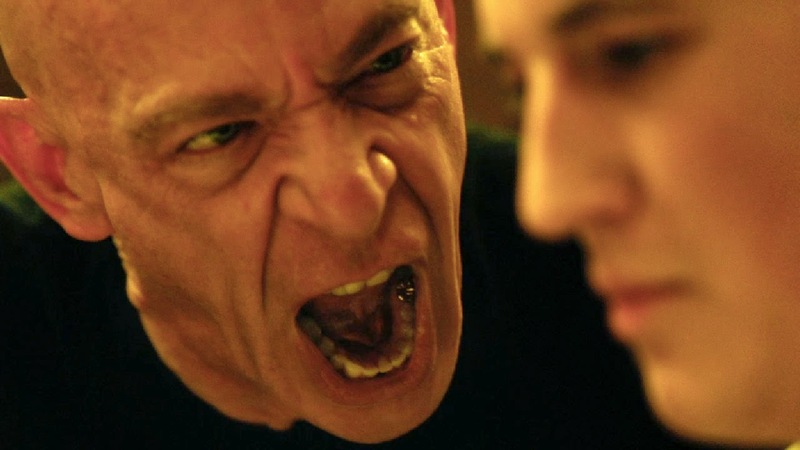 J.K Simmons, nominated for Best Supporting Actor (known primarily for his extensive list of credits as character parts) shines through seamlessly as an utterly terrifying yet magnificent character who asserts the true element of thrill in to this narrative. Our protagonist Andrew may not shine over Simmons but this is not to say he does not shine. Teller completely engages the audience in to his way of thinking - we are made fully aware of the turmoil and delicate nature of his increasingly fragile psyche. Both truly Oscar worthy performances. 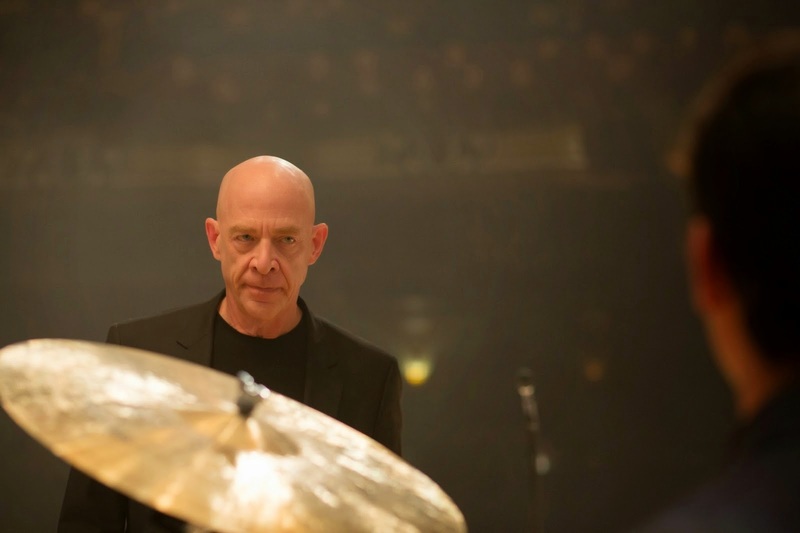 With outstanding direction, stunning cinematography and an Academy recognised cast, Whiplash was destined for greatest from the very start. Visually stunning to watch, the narrative is flawless with little, perhaps even no unnecessary filler content. At no point does the story drag or leave anything to be desired and will leave you exhausted but longing for an encore. 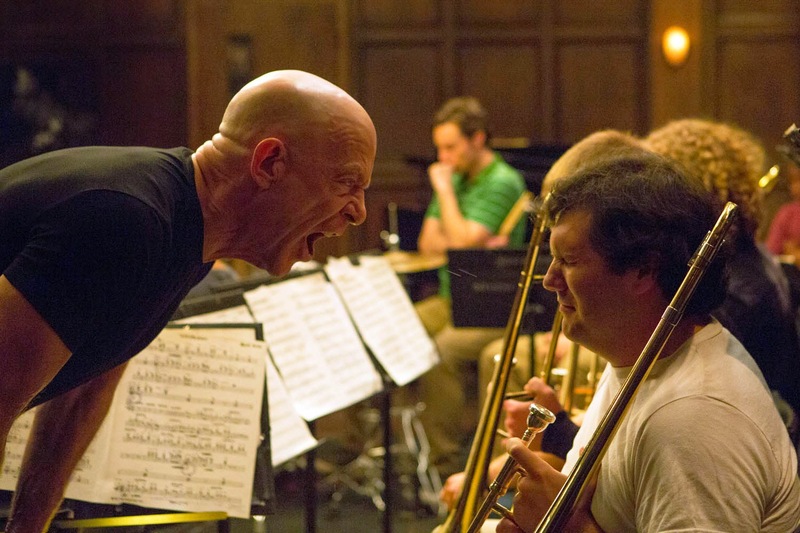 Whiplash gets a Sophie star rating of 5 out of 5 stars and a standing ovation. With the majority of the Oscar's films down, I have left just 6 titles to complete my full list. This is for sure my favourite time of year and I am loving all of the nominees to far. Up next is Inherent Vice (Paul Thomas Andersen, 2014), Selma (Ava DuVernay, 2014), The Theory of Everything (I'm not so keen on seeing this one - James Marsh, 2014), Wild (Jean- Marc Vallee), American Sniper (Clint Eastwood, 2014) and Unbroken (Angelina Jolie, 2014). This is a brilliant review. I really enjoy reading your film critiques, you really know your stuff. You do great reviews. I've been wanting to see this for ages - the acting looks amazing in it! It's on my list of films to see though I'm very wary - not a big fan of romances! But I will try it out since it's an Oscar film :) Thanks for reading! Fantastic review, really settled it for me to see it! Thanks hun! Aw please do I'd love to know what you think of it! I've been really curious about this movie since award season began. It seems like a bit of a sleeper that came out of nowhere. Nobody was talking about it and now JK Simmons is winning every award. That definitely says a lot about a movie. Your review made me think I need to bump it even higher on my list! Loved this review! Like I mentioned, I was very on the fence about this film, because I didn't really know what it was about and why but reading your review has made me want to see it! Another enjoyable review. Miles Teller did an excellent job in this film. My fav for Best Supporting Actor Oscar is J.K. Simmonds by a hair over Edward Norton, Ethan Hawke, and Mark Ruffalo who all gave great performances. Robert Duvall was too much of a curmudgeon to put his particular performance in the same category. Thanks Gil, I thought so too. So many amazing nominees for Supporting this year, too hard to pick just one. I think that JK Simmons was a worthy winner though! Sophie Elizabeth. 27 year old Londoner. Tattooed cat lady and underwhelmist. Welcome to the rantings of a self-confessed cinephile who likes food and things. 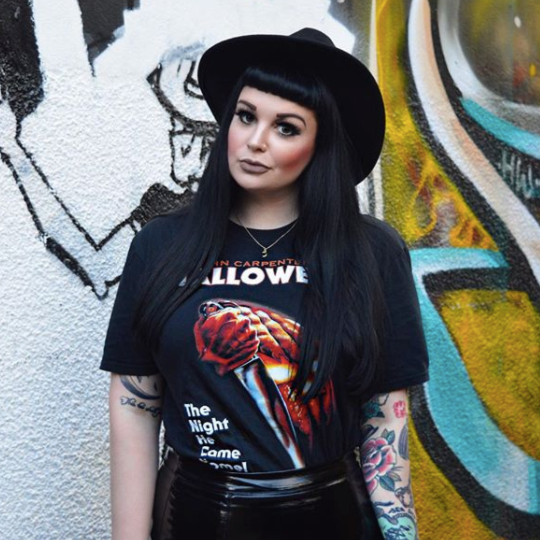 January Mega Haul: The Beauty Issue 100th Post!